Despite eligibility, some collections may not be available to check out to all patron groups. Community patrons and non-affiliated users will be issued a Monmouth College barcode. Patrons outside the Monmouth College community must present a valid photo ID and proof of current address when applying for a Monmouth College library card. Your Monmouth College ID is also your library card. You must present this card at the Circulation Desk before you can check out any materials, including Course Reserves, audiovisual materials and equipment. Members of the general public may obtain a Hewes Library account, by bringing to the Circulation Desk either a photo ID or a valid public library card. We will issue a library card to you for all Hewes circulation purposes. Most materials may be renewed up to three times before they must be returned to the Library. 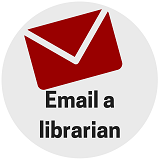 Library materials can be renewed online in the Hewes Library or I-Share Library Catalogs by logging into your account. Materials borrowed via the ILLiad Interlibrary Loan system can also be renewed online in your ILLiad Account. Course Reserves may be renewed only once, for an additional two-hour period, at the Circulation Desk. Overdue materials are subject to replacement and processing fees. If you receive an overdue notice for an item that you have borrowed, please renew the item or return it to the Library immediately. If you cannot make it to the Library during our business hours, a bookdrop is available near the exit doors on the west side of the building. 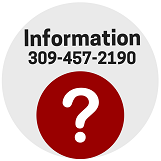 If you receive an overdue notice for an item which you think you have either returned or never borrowed in the first place, please contact the Circulation Desk at 309-457-2190. If you would like to place a hold or recall on an item that is currently checked out to another patron, please ask someone at the Circulation Desk. Students: faculty may require you to read or review an article, book chapter or film that we hold on Course reserve. Course reserve materials are held behind the Circulation Desk, and you may check them out for two hours. Reserves must be kept in the Library, but viewing rooms are available for audiovisual materials. When you request a Reserve from the Circulation Desk, please be prepared with all relevant information, such as your professor's name and course number, the item's title, and the item's format (is it a book? an article? a video?). The more information you can provide, the swifter we can locate the proper item. Faculty: for information on how to place a Course reserve, including online request forms, please visit the Course Reserves page. A flatbed and document feeder digitization station is available on the main floor. Books and documents can be digitized and sent to email, Google Drive, smart phone and flash drive. Translation and scan to audio options also available. A public photocopier is available on the Main Level, copies 10¢ each. A faculty/staff photocopier is also available for use with the barcode number from a Monmouth College ID. Two microform reader-printers are available in the Microforms Area on the Main Level, near the Reference Desk. Scanned items can be printed (ten cents), saved to a flash drive, or emailed. A fax service is available at the Circulation Desk. College-related faxes may be sent and received from the Circulation Desk at no charge. Cover sheets can be provided. Incoming faxes are free, and will be held behind the Circulation Desk for a short time. 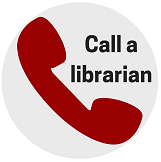 The Library's fax number is (309)457-2226. Overdue library materials are subject to replacement and processing fees. If you receive an overdue notice for an item that you have borrowed, please renew the item or return it to the Library immediately. For questions about library fines or fine notices, please contact the Circulation Desk at 309-457-2190.